George Clum, 76, of Webster City, died on Tuesday, August 21, 2018 at his home. Funeral services will be held at 11:00 a.m. on Friday, August 24, 2018 at Foster Funeral and Cremation Center with Pastor Jeff Flagg officiating. Burial will follow the services at Graceland Cemetery with military rites. Visitation will be held from 5:00 p.m. to 7:00 p.m. on Thursday, August 23, 2018 at the funeral home. 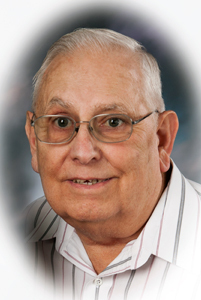 George Lewis Clum was born on August 21, 1942 in Ellsworth, the son of John and Beulah Mae Scott Clum. He was a 1961 graduate of Lincoln High. He served in the United States Army from 1961 to 1964. George married Leandra Dale Stephens on August 8, 1965 in Ames. After working at Nissen’s for two years he was employed as a mechanic for 37 years at McCollough Brothers, retiring in 2004. After retirement he loved spending time with his grandchildren. George is survived by his wife, Leandra of Webster City; children, Rod (Amanda) Clum, Kyle (Sherri) Clum, Staci (Donny) Ertz, all of Webster City; 12 grandchildren and two great-grandchildren. In addition to his parents, he was preceded in death by a great-granddaughter, Georgia Taylor. George was a member of Asbury United Methodist Church. He was an assistant scout leader for the Boy Scouts.